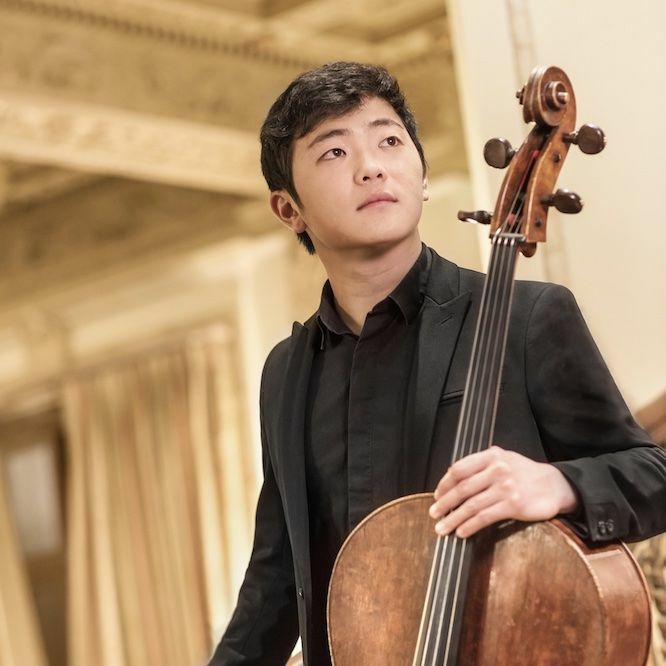 We are thrilled to introduce you to Brannon Cho, First Prize Winner of the 2018 Paulo International Cello Competition. In this conversation Brannon takes us behind the scenes offering insight into his preparation, mindset, and aspirations. Blogmaster: Can you give us insight as to how the competition felt for you? Did you play as you aspired to? Brannon Cho: The competition was quite exhausting. As opposed to other competitions I’ve done in the past there was almost no time to rest between rounds. In some ways I appreciated it because it was similar to the concert schedule of a touring soloist. As a soloist, every two days you have a big concert. In contrast, in Belgium last year I would sometimes have a week before I played the next round. The close schedule of this competition kept me in the zone really well because I didn’t have time to worry about the previous round. In terms of my preparation I felt I was more prepared for this competition than I have ever been before. This gave me a sense of peace of mind and allowed me to perform freely knowing that I had everything worked out. Every performance felt satisfying. Obviously nothing was going to be perfect and I definitely took note of things I could improve on from there on out. Overall it was an amazing artistic experience. The repertoire was really interesting and different from other competitions and I was very grateful for that. You have competed in many competitions, perhaps most recently the Queen Elizabeth Competition. How did this competition compare? Primarily the repertoire was the greatest contrast. Usually there are specific requirements for the first round including Bach, Piatti, or a Beethoven Sonata which of course you need to be able to play, but after doing a few of these competitions it was very liberating to pick a 50 minute free choice recital. The second round was already a romantic concerto with orchestra and no other competition does that in the second round. I also love that they left out Dvorak and Shostakovich’s First Concerto, two of the most frequently played concertos. I had a great time learning Elgar for the first time for this competition. It is a very challenging piece to play with orchestra because there are so many nuances with rubatos and choices in timing. How much time did you have to rehearse with the orchestra? For Elgar we had forty minutes of rehearsal the day before and a dress rehearsal the day of the performance. The really nerve-wracking thing was for the last concerto with Helsinki Philharmonic we only had an hour rehearsal the morning of the performance. With a forty minute piece there is hardly time to work through anything. This really forced us, the soloists, to listen and communicate with the whole orchestra while we were performing. 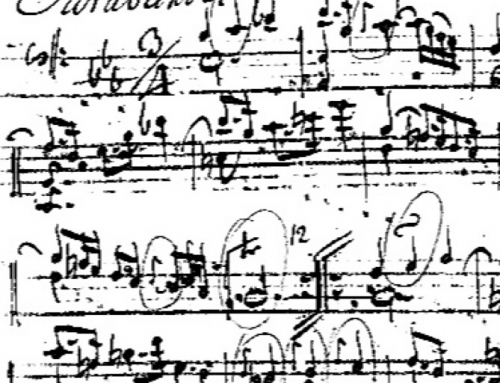 This was also a challenge because there are many different instrumentations and duets in all of these pieces. The conductor, Susanna Mälkki, was a cellist for a long time and she knows the cellistic aspects of the piece so she was very accommodating. I found the orchestra to be very supportive and engaged so it was a great experience. With so much experience preparing vast amounts of repertoire and also learning new commissions very quickly, could you share with us how you go about time management in both situations? In the months leading up to the competition I like to start new pieces as much in advance as possible. This helps me digest every measure of them and explore all of the different expressive possibilities. In this competition, half of these pieces were new for me so I focused on the new ones to bring them up to a comfort level similar to the other pieces I already knew. For a while I was really focused on Elgar, Britten, and Schumann. Being able to look at each piece and judge what your level is really helpful in bringing all of the pieces to similar technical levels and memorization. After that point, for me, I go around practicing one movement of this, one movement of that, then playing through a totally different piece, so that I am really juggling every day. Sometimes there have been competitions where I do one whole piece and then another whole piece and I feel I get through repertoire more slowly that way. This juggling method helps make sure that every style is at the tip of your fingers so you can pull out each and every one of these pieces. When you’re in the competition it’s really one after the other, you have to have it ready so quickly that this practicing keeps you on your toes. I also made sure to play through and perform these pieces as much as possible. I performed the first round recital and Elgar four times or so in the three months leading up to the competition. Obviously, that sets concrete and short term goals and gave me room to improve each time. That was incredibly helpful. Studio class was also a chance to play through a lot of repertoire which helped a lot. 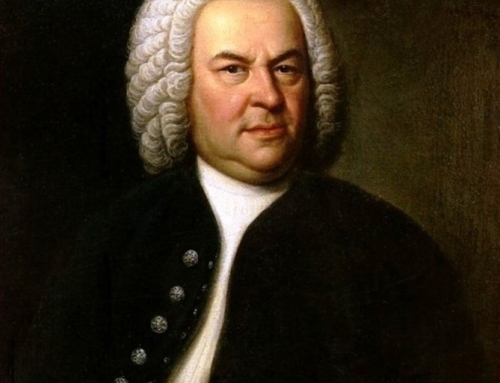 For this competition, there were a lot of concertos. Something that gets in people’s way when they perform concertos is that they’ve played them a lot with piano and when they get in front of an orchestra they feel like deer in the headlights. In this situation, you’re not playing with one person, you’re playing with eighty people. Obviously, it is important to know the score inside out, know which instrument you’re playing with at what time, what section is serving what role at each moment, and where you need to be incredibly clear for the conductor’s sake and the orchestra’s sake. These are all really important considerations in preparing to play with orchestra. 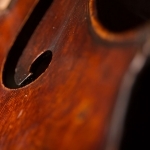 What was the experience like learning a new concerto in one week at the Queen Elizabeth Competition? I am typically a slow learner so that was really challenging for me. Somehow when you have a specific concrete goal you make it work in that situation. I end up doing a lot of practice away from the cello. Once your technique is at a certain point if you have things planned out in your head a lot just works out and it saves a lot of practice time. In learning that new piece I did a lot of that, going through every line because each note in that piece had one or two very specific markings. I tried to understand the musical intention and flow of a given phrase that I was trying to learn and that made it easier to digest and communicate it naturally through myself. After a certain point you just have to play it a lot so your fingers get used to it. That along with the mental practice really speeds things up. What would be your advice to young players in keeping their technique at a high level? First and foremost I do scales every morning. I feel like I can’t start working until my fingers have gone through this routine. Something I learned a long time ago is that if you start by tuning your ears, for example with slow thirds or sixths, you can calibrate your ears before each practice session. This makes you a lot more aware and you don’t waste so much time just playing. I studied with Mr. Hans Jensen so long that my fingerings are his system, the Galamian system. I also do a lot of the exercises in the CelloMind book. Those exercises are really good for solidifying hand shape and they help me a lot. I think it is also very important to observe every physical movement you do and pick out what moments you’re guessing. Then, you can isolate it and work on it until you’re not guessing any more. For example, if you can sense in a shift that you’re guessing and are not sure where it is, you have to do it until you know the answer completely concretely. That idea is really everything that I am practicing. If I set the standard that I am never guessing at anything it makes me a lot more confident. Even if you end up missing something in the moment, you can still carry on and know how you’re going to achieve everything technically. In terms of preparation, how do you condition yourself for such a high level of pressure? Any routines or strategies? It definitely helped to have done competitions before. I think this was my fifth international competition in the past five years. Certainly it’s a little shocking the first time you step in front of a jury like this and for me, you don’t know the feeling until you’ve done it before. Doing several of these really put me in the right place for Paulo. I also do a lot of visualization. If possible I take a look at what the concert hall looks like in a picture or video and I put myself on stage in that hall and think about how I am going to communicate every idea to the audience. Any musical idea, any timing, it is really based on your outside ear (you trying to listen to yourself from the outside) which is really hard to develop and I am still working on it. I think that’s what really helps you figure out what comes out and what you’re communicating. With visual practice and mental practice that idea of “how am I going to communicate musically to an audience” is a driving point in my work. Again, the concept of never guessing at anything is also important. If you go out there and you know how to play every note and achieve every musical idea technically it allows you to rise up to that pressure and face it rather than going out and being unsure. Uncertainty can really cripple someone on stage. Do you approach a competition differently than you approach a concert for a general audience? Slightly. I would say I take more risks and more spontaneity in a concert although they are not much different. On the other side of the spectrum people are often afraid of offending judges and they end up not really saying anything in their playing. I think that is also not the right way to go. This time was really special because I followed some of the rules in each of the pieces so I made the jury happy but I also communicated the story really well which made the audience and the jury happy. In the end it shouldn’t be too different from a concert. It should still have that sense of storytelling. Do you ever face discouragement? If so, how are you able to get past it? Of course! After every performance I am thinking about the notes I missed, why I missed them, and what went wrong. I think that is healthy to make yourself better. You’re always going to keep trying to develop so there is an elusive idealistic standard that you can chase for the rest of your life which I find necessary for improvement. Setting a really high standard for yourself might make you feel bad if you miss a few notes but it makes you improve so much. When other people hear you play, your standard that you know within yourself is at a higher level than the general audience. Given this standard, if you can get closer to making yourself happy you’ll make the audience happy for sure. It’s always a balance to use knowledge of your flaws for positive growth to make yourself better instead of getting yourself down about it. Hans Jensen has been an extraordinary, long-term mentor to you. In what ways did he influence you the most? I met him very early in my life so he has influenced me a lot in my technical foundation. What is incredibly important is the discipline in practicing and holding yourself accountable for everything that you’re doing. This is deeply rooted in me through Mr. Jensen and I think that every person in every field needs that to become better. As musicians, we are our own coach. We have teachers but we practice on our own and we have to show the way for ourselves and how to solve our own problems. Having the discipline in the practice room really helps me. Another thing that Mr. Jensen has that I think is really special is a musical instinct and spontaneity. Letting yourself feel a certain phrase instinctively has helped keep my imagination going and free. He is also one of the most dedicated teachers in the world. He dedicates his life to his students and barely sleeps. He is so passionate about helping his students and that is something I aspire to when I become a teacher later in life. You have been in Boston studying with Laurence Lesser for a relatively short time, however, could you share some of the ways in which working with him has influenced your perspective or playing? Definitely even in just one year I have learned so much from him and people are telling me my playing has changed since I came to NEC. I think the most striking thing is the emotional depth that he has as a musician. Before I was intellectualizing a lot of things – having an idea and thinking about how I would do it and chasing ideas that I have. Mr. Lesser taught me a way of bringing them out from somewhere very deep within myself and letting them come out through my playing instead of me trying to make something happen. In thinking about it now, I don’t know how I would teach a student how to do that but he has taught it to me. Even in just one note he would say “there is information in here so tell me something in this one beat.” Or “what are you telling me through this note?” It might sound simple but now that I realize it is so vital for communicating a story to an audience. Technically I’ve changed how I use my right hand a little bit. Not consciously changing my bow hand but changing my idea of it. As Mr. Lesser puts it, “every centimeter on the bow should have a different shape and feeling in the hand” so it’s a three-dimensional approach to the bow hand. In turn it creates a three-dimensional sound and multiple layers in emotion. It allows me to change the density of the sound, of course the color, but also the type of breadth the note has, whether it’s moving forward or pulling back, or whether it’s popping out or sinking in. He’s taught me to use my bow hand to create many of these different feelings. All of these aspects have significantly changed how I play music and how I communicate to an audience. 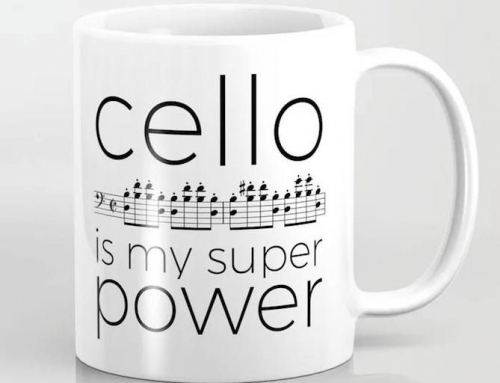 My last question, if you have anything to add, what advice do you have if any, to young cellists aspiring to compete in international competitions? There are so many different aspects that go into being a successful musician and the main things for me are discipline and communication on stage. With discipline, you have to hold yourself accountable as you are your own coach. In communicating on stage you are telling a meaningful story in any competition and that is what really sets you apart rather than trying to not mess up or just play in tune. Once you’re on stage your primary goal should be to communicate. I think the thing that allows people to feel more free and comfortable is having not a single note you’re unsure of. You could wake up in the middle of the night and play it because you know every step it takes and how to achieve every movement. Discipline on a micro level can really come across in a performance on a macro level. Described by Arto Noras as “a finished artist, ready to play anywhere in any hall,” cellist Brannon Cho has emerged as an outstanding musician of his generation. 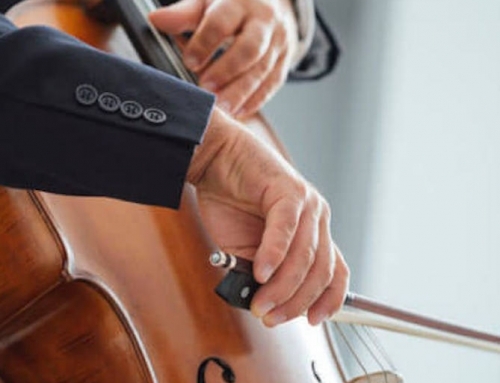 He is the First Prize winner of the prestigious 6th International Paulo Cello Competition in Helsinki, Finland, and is also a prize winner of the Queen Elisabeth, Naumburg, and Cassadó International Cello Competitions. Brannon has appeared as a soloist with many of the top orchestras around the world, including the Helsinki Philharmonic Orchestra, Minnesota Orchestra, Tokyo Philharmonic Orchestra, Brussels Philharmonic, and Orchestre Philharmonique Royale Liège, under world-renowned conductors such as Susanna Mälkki, Stéphane Denève, and Christian Arming. As a lover of chamber music, Brannon has shared the stage with artists such as Christian Tetzlaff, Gidon Kremer, and Joshua Bell. His recent festival appearances include Marlboro, Kronberg, Music@Menlo, Verbier, and Gstaad. Brannon’s recent and upcoming solo performance highlights include debuts with the Minnesota Orchestra, the Vancouver Chamber Music Society, Weill Recital Hall at Carnegie Hall, Kumho Art Hall in Seoul, the Isabella Stewart Gardner Museum, New England Conservatory’s Jordan Hall, the International Cello Institute, and the Matinee Musicale in Cincinnati. Born in New Jersey, Brannon received his Bachelor’s degree from Northwestern University’s Bienen School of Music under Hans Jørgen Jensen. He is now one of only two candidates for the prestigious Artist Diploma program at the New England Conservatory, where he studies with Laurence Lesser. Brannon performs on a rare cello made by Antonio Casini in 1668 in Modena, Italy.